Gold IRA Rollover > Protect Your Retirement With Gold! A Gold IRA rollover is a simple process of moving eligible retirement funds into a new IRA backed by physical gold. With all the questions surrounding the future of the U.S. dollar, the economy and the potential for the next stock market crash, many people are making the decision to safeguard their retirement savings with investments in gold – and the process of doing so is simpler than you may think. Curious if a rollover is right for you? Use the information below as a basic guide to understanding the potential benefits of investing in gold, and how they could apply to your individual situation. There are numerous advantages to a gold IRA, regardless of whether you are nearing retirement or planning for your future. As an investor, you should examine your options carefully and speak to a knowledgeable Precious Metals Specialist who can help identify the best investments for your needs and goals. People invest in gold and other precious metals, such as silver, platinum and palladium, for several different reasons. The questions below are intended to show you some of the ways that a Gold IRA rollover could help you achieve your unique retirement plans, while giving you peace of mind that your investments won’t be eaten away by economic factors that are beyond your control. Are you concerned about stock market volatility? The stock market has been extremely volatile over the past decade, and even the best analysts can’t predict what will happen next. After seeing the value of retirement accounts plummet a few years ago, many Americans are safeguarding their portfolios by diversifying with gold. A Gold IRA rollover can hedge against the risks associated with stocks, mutual funds and bonds and help to shield your account from future economic turmoil. Do you worry that your future purchasing power will be hurt by inflation? It’s no secret that Americans’ purchasing power has been greatly impacted by the declining dollar. When the economy goes bad, the Fed prints more money, which drives inflation and lowers the value of U.S. currency. However, inflation tends to have the opposite effect on gold. Historically, as the dollar sinks in value, the price of gold increases. And with so much uncertainty still surrounding the global economy, many future retirees are opting to convert a 401(k) to gold, or convert an existing IRA to gold, as a hedge against inflation. Do you want an investment with growth potential, but not the risks of paper assets? For those who want to avoid stock market volatility, it may be tempting to put all your money into a savings account or low-yield CD. But your money can do more for you! Gold has significant growth potential, making it an attractive alternative to low interest-bearing accounts. Even as gold has hit new highs over the last few years, many analysts predict further bullish gains for years to come. Can my retirement account be rolled over? Several different types of retirement accounts can be rolled over or transferred into a Gold IRA, including 401(k)s, 403(b)s, 457s, TSPs and existing IRAs, among others. 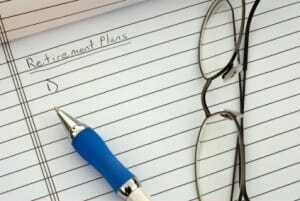 In the case of employer-sponsored plans, such as a 401(k), the account is typically eligible for a rollover if you are no longer working for the company that initially set it up, or if you are age 59 1/2 or older. All it takes is one phone call to Birch Gold Group to start the Gold IRA rollover process. We’ll help confirm your eligibility, assist you in opening your new account and guide you through the simple steps to rolling over funds from your other retirement accounts. Only a few basic forms are needed to open your new Gold IRA and to initiate the transfer of funds from your current retirement accounts, and our IRA department is available to assist you in completing any or all of this paperwork. What kinds of gold can I put in a Gold IRA? Gold coins and bars having a minimum purity of 99.5%, produced by approved mints and refiners around the world, are approved for Gold IRAs. The 91.67% pure American Gold Eagle (proof and bullion) is also eligible. Our Precious Metals Specialists will go over all your options in greater detail, so that you can choose the metals that are right for you. Can I add other investments? Yes. A Gold IRA can hold other precious metals, including silver, platinum and palladium, as well other types of investments, such as stocks, mutual funds, real estate and others. When do I choose my gold? Once the funds from your retirement accounts have been transferred into your new Gold IRA, the next step will be to select your gold. How long does a Gold IRA rollover take? After completing the necessary paperwork, it typically only takes about 7-10 business days to complete the rollover. This time frame is often most dependent on how long it takes your current retirement account’s custodian to process the rollover. 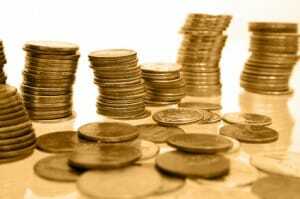 TAX CONSEQUENCES of a Gold IRA Rollover? No. There no tax penalties on direct rollovers or transfers. As long as the funds are going between qualified retirement accounts, this is a non-taxable transaction. Note, however, if you are converting a tax-deferred account into a Gold Roth IRA, there may be tax consequences. How much can I put in my gold IRA? In 2014, the maximum annual contribution limit for IRAs is $5,500, or $6,500 if you are age 50 or older. Keep in mind that funds directly rolled over from other retirement accounts do not count toward these limits. For more information on Gold IRAs and the rollover process, we invite you to request a copy of our Complimentary Investment Kit. Or, if you’re ready to get started, simply fill out the form on this page, or contact us at (800)355-2116 to speak with one of our Precious Metals Specialists right away.